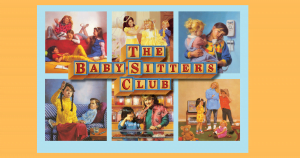 One of the most beloved book series of the late ‘80s and ‘90s was by far The Baby-Sitters Club by Ann M. Martin. A staggering 180 million copies of the series have been sold to date and the books have a huge cohort of fans that range from grandparents to primary school kids, so it’s no surprise that the announcement by Netflix of a new 10-episode series based on the books, has been met with enormous excitement. Remember Kristy Thomas, Mary Anne Spier, Claudia Kishi, Stacey McGill, and Dawn Schafer and their inspiring yet relatable stories of female friendship, entrepreneurialism and empowerment? You may have already read the wonderful stories with your children, or perhaps your primary school reader has devoured the best-selling series? Well, now you can share the stories and reminisce with your children on the small screen, too! This development is just another example of a great series standing the test of time with the themes explored in The Baby-Sitters Club – from dealing with divorce to experiencing your first major crush- still just as relevant today. We know that the Better Reading Kids audience love this series as you voted for it in the 2018 Better Reading Kids Top 50 and it’s not the first time it’s made the list. The Baby-Sitters Club will be brought to life by Michael De Luca Productions, Walden Media, Netflix and of course Ann M Martin where it all began. Details on when the series will go to air haven’t been released yet, but we’ll bring them to you the moment we know.